Scholarships that are about students. TD Scholarship 2018/2019 application process is now closed. Applications for the 2019/2020 year will open on September 4, 2019. Opening doors for a more inclusive and sustainable tomorrow. What are the TD Scholarships? Community heroes do good work because they are inspired to, not for the recognition. TD is committed to opening doors for a more inclusive and sustainable tomorrow, creating conditions so everyone has the chance to succeed in a changing world. Unique in Canada, the TD Scholarships for Community Leadership are offered to students who, like TD, help support change, nurture progress and contribute to making the world a better place. Have you shown exceptional initiative in making a meaningful and lasting difference in your community? Then we want to hear from you, as you may qualify for one of our Community Scholarships. It’s not just about marks in the classroom, but rather the marks you have made on your community. We’re interested in hearing from students who have demonstrated consistent and outstanding dedication to solving a community problem or making their community a better place. For example, you may be cleaning up the environment, promoting social justice, or fighting child poverty. Check out what some of the past scholarship recipients have done to improve their community. These young Canadians from across the country have made a meaningful and lasting difference in their communities. All of these extraordinary young people share one common belief: One person can make a difference! TD Scholarship alumni continue to show the same commitment that TD does – to strengthen the communities where we live and work. Vancouver, BC. After immigrating from South Korea to Barrie, Ontario, AJung founded the ESL Student Support Team to support international students in her high school. 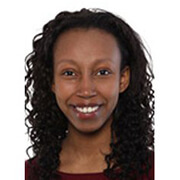 After receiving the TD Scholarship, she earned a bachelor’s degree in mechatronics engineering from the University of Waterloo, and a master’s degree in human-robot communication from the University of British Columbia, where she is now a Vanier Scholar and Ph.D. candidate in mechanical engineering. 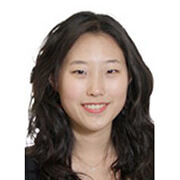 AJung is founder of the Open Roboethics initiative (ORi), an international robo-ethics think tank. Toronto, ON. In high school, Naheed organized Coins for Afghanistan, a campaign to turn post-9/11 confusion, anger and discrimination into empathy for the oppressed Afghani people. After earning a degree in medicine at McMaster University, Naheed now works at St. Michael’s Hospital & Inner City Health Associates. He founded Palliative Education and Care for the Homeless, to deliver end-of-life care to the most vulnerable, works as a Palliative Care Physician at Brampton Civic Hospital, and is an Assistant Clinical Professor in Family Medicine at McMaster University. Sept Îles, QC. 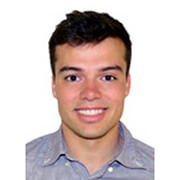 Étienne received a TD Scholarship to recognize his work on environmental projects, including obtaining the Cégep Vert du Québec green certification. After earning a bachelor’s degree in environmental studies and a graduate degree in management from HEC Montréal, Étienne worked for non-profit groups Environnement Jeunesse and Cyclo Nord-Sud, which collects used bicycles to provide transportation to people in developing countries. He is now working on an agricultural development plan in MRC de Coaticook region, where 500 farms offer jobs and economic benefit to the community. Winnipeg, MB. In high school, Megan helped establish a local Oxfam Chapter, serving as President and Prairie Regional Chairperson. She now holds degrees in human rights and international development from the University of Winnipeg and has worked and volunteered in the fields of gender equity, human rights, disability rights, legal empowerment and access to justice. Megan is now completing the Juris Doctor program at the University of Ottawa. She plans to complete a community legal clinic placement, to advocate for clients with disabilities, and a fellowship in global health law. Halifax, NS. Aaron was involved in The Youth Project in high school to support youth with sexual orientation and gender identity issues. He was also a LGBTQ youth advocate on the provincial government's cyberbullying task force. Aaron has since graduated from Carleton University in the public affairs policy management program, specializing in social policy. He worked with the Carleton Sexual Assault Support Centre to create public education modules and raise awareness of campus sexual violence. He is currently a teacher candidate in the University of Ottawa’s Bachelor of Education program. From Monarch Park Collegiate, Toronto, ON. In response to ethnic and religious conflict she saw both globally and locally, Rabia started a Multi-Faith Club at her school, so students could openly discuss discrimination, inequality and racism. Inspired to achieve peaceful co-existence of diverse cultures, she organized fundraising and information projects for marginalized communities, from Canada’s Aboriginal peoples to African children. These efforts included a Habitat for Humanity build in Scarborough and a Days for Girls event to support girls’ education in rural Africa. From John Arnalukjuak High School, Arviat, NU. Growing up in isolated Nunavut where economic and social issues weigh heavily, Shelby discovered a love for theatre arts and its ability to help youth build confidence and life skills. To target low literacy rates in the north, she created a reading program for children under 10, in both English and Inuktitut. Following the loss of a paid school librarian, she volunteered to maintain the library. She also organized a peer orientation program to help grade eight students transition to high school. From Leaside High School, Toronto, ON. Recognizing the challenges faced by youth in one of Toronto’s most multicultural communities, Sahar became a Youth Director on the Flemingdon Park Parent Association. She started a drop-in homework centre for students from grades 4 to 6 and applied her French skills as one of the volunteer tutors. Expanding her work to impart life skills among youth, Sahar also organized leadership workshops and a soccer house league, in which she managed coaches and planned schedules. She also edited her student newspaper and was active on the school robotics team. Sahar plans to study software engineering at the University of Toronto. From Institut Collegial Vincent Massey Collegiate, Winnipeg, MB. Loizza became a social justice volunteer at age nine when the images of a typhoon in her native Philippines prompted her to fundraise for disaster victims and building schools in developing countries. In high school, she focused on mental health awareness after her best friend committed suicide. Loizza created Peace of Mind 204, a youth mental health support group that brings together students, speakers and performers to spark conversations on the issue. They later became the official youth advisory group to the Manitoba government. Loizza is considering a career as a lawyer or social worker. Cindy believes strongly in the power of learning. After tutoring a blind teenager in Beijing, she founded Vision Exchange, a non-profit program matching sighted English-speaking mentors with blind Chinese buddies for online classes and conferences. The program grew to 120 participants in three countries, helping Chinese blind people overcome their limited education options and fulfill their dreams. Cindy also ran music theory and science youth camps at the Victoria Park Hub community centre and founded her school’s first business club. After pursuing Engineering Science at University of Toronto, Cindy is interested in becoming a professor or economist, while continuing to be a freelance composer. Inspired by volunteers who made a profound impact on him as a young cancer patient, William has been dedicated to helping people ever since. He designed an online test registration process to help Special Education students register for support during tests which has been adopted by other schools. As part of the executive for his school’s Mental Health Committee, he organizes events and assemblies to stop the stigma regarding mental illness and help students cope with stress. William also introduces children with disabilities to technology and robotics at a children’s rehabilitation hospital, and provides ongoing audiovisual and technology mentorship to students from his elementary school. 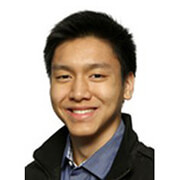 William plans to attend Ryerson University in Business Technology Management. From Cégep de Trois Rivières, Trois Rivières, PQ. Gaining inspiration and confidence as a participant in the international robotics competition, Robotique FIRST, Chaymae decided to make a similar difference for other youth. She set up an extracurricular robotics club at a local elementary school – the first of its kind for primary students in the region – and mentored more than 20 youth to research and build their own robots for team competitions. Chaymae also helped other immigrant youth with homework at a newcomers centre and volunteered at an Alzheimer’s patient facility. She would like to pursue a career as an industrial engineer. From Collége Jean-de-Brébeuf, Montreal, PQ. After volunteering at a summer camp with youth from disadvantaged backgrounds, Martin-Olivier realized how talented young people can be held back by their economic status. In response, he began Exception, a mentoring program for secondary school students in one of Montreal’s lower income neighbourhoods. With the mission of preparing tomorrow’s leaders, he raised funds for a scholarship and recruited college students to build long-term friendships with mentees. Martin-Olivier also volunteered at a homeless shelter and was active in student government. He plans to study politics, law and commerce at the University of Ottawa. From Kelvin High School, Winnipeg, MB. As President of his school’s Environmental Action Committee, Elijah learned that leadership requires strong listening skills to understand others’ interests. To reduce the contamination rate of school recyclables, the group organized a student and staff competition to recycle correctly, plus other awareness, fundraising and lobbying efforts to improve school environmental practices. In addition to serving as Student Council Co-president, Elijah co-founded an entrepreneurial development program to empower students to start their own ventures. 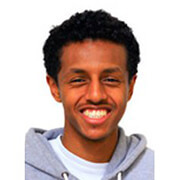 Elijah would like to become an entrepreneur, venture capitalist or politician after studying engineering and business administration at the University of Western Ontario. From Se’t A’newey Kina’matino’kuom (St. Anne’s School), Conne River, Mi’kmaq Territory, Nfld. Deciding to take things into his own hands to create a more open-minded atmosphere in his small community, Kian established his school’s first Gay Straight Alliance. The group offers a safe and accepting place for his peers who struggle with their sexual or gender identity, while also educating all students to respect others who are different. Kian also became a dedicated Girl Guides leader, and organized practices and training activities as captain of his school wrestling team. Kian aims to study mechanical or electrical engineering at the University of New Brunswick. From Collège André-Grasset, Montreal, PQ. While Émilie discovered her love of science on her school robotics team, she was dismayed by provincial student drop-out rates and the fact that many youth don’t get to explore their own passions. She enlisted her robotics team to host free robotics workshops in primary schools to reach youth from disadvantaged backgrounds. Over five years, they provided more than 4,000 youth with access to science and technology activities and the chance to realize their own dreams. Émilie also played the piano in a seniors’ residence and volunteered with St Jean’s Ambulance. She plans to study at McGill University and work towards a career in biomedical engineering. From Sir Winston Churchill Secondary School, Vancouver, BC. Shocked by high child poverty rates in her province, Jan established Starts With One, the only youth non-profit group in Vancouver to address child poverty. Growing from a group of seven students to 200 volunteers, they held youth concerts and art shows to support the Mom to Mom Child Poverty Initiative, providing financial and emotional support to single mothers. Jan also founded the Senior Citizen Companion Club, to match students with the elderly, and performed TEDx talks to destigmatize autism and promote greater community spirit. Jan would like to study at the University of British Columbia and build a career as a biotechnologist, physician or social entrepreneur. From Westwood Community High School, Fort McMurray, AB. When Angela became the only youth delegate on the local United Way Community Investment Committee she realized how it can be hard for young people to find volunteer opportunities. She created SPARC, “Students Participating Actively and Responsibly in the Community,” so classmates can fundraise for the United Way. Following the Fort McMurray wildfires, SPARC packed and distributed more than 2,300 backpacks with school supplies for youth displaced by the disaster. Angela was Student Council President and taught traditional Chinese dance. She plans to study chemical or electrical engineering at the University of British Columbia. From Castlebrook Secondary School, Brampton, ON. Raised in an immigrant community where drug and alcohol abuse, leadership barriers and youth disengagement were common, Ranbir started the Dream Big Leaders organization to empower racialized students. Now known as Aspire to Lead, the group drives positive youth expression through hip-hop and spoken word events and mentorship projects. They held a Dream Big Assembly at which CEOS and social entrepreneurs from immigrant backgrounds inspired students. As an elected Peel Board Student Trustee, Ranbir encouraged youth to be politically engaged. He hopes to become a human rights or criminal defence lawyer after studying international development at the University of Toronto. From Sydenham High School, Perth Road Village, ON. During the 2016 Syrian refugee crisis, William saw misinformation filter through his school about refugees housed at a nearby Canadian Forces base. To educate students about the issue, he organized an event in which refugees talked to students about their experiences, inspiring his classmates to fundraise for a refugee family. William also shared his passion for the outdoors through presentations about his Students on Ice expeditions to study climate change. He formed a school mental health group and coached football and basketball. William plans to study engineering or business at the University of Western Ontario. From Sutherland Secondary School, North Vancouver, BC. As a recent newcomer to Canada, Sahar realized that she could adapt faster to Canadian culture if she joined activities that she was passionate about. After volunteering on youth health and science committees, Sahar began her own clubs to encourage student pride in their talents and multicultural backgrounds. Participants in The Rhythm Club demonstrate their music and dance skills while fundraising for BC Children’s Hospital Foundation. In New2Canada Club, newcomer youth plan events to develop their leadership and communication skills. Sahar plans to study science at the University of British Columbia with the goal of a career as a neurologist or neurosurgeon. From Kinkora Regional High School, Kinkora, PEI. Growing up among potato fields but with a passion for fine arts, Bronwyn was disappointed when her school’s weekly art class was cancelled. In response, the grade six student began a before-school dance program and choreographed a piece for the school Christmas concert. Having run the club for six years, Bronwyn introduced many boys and girls to dance and increased school-wide awareness of the benefits of performing arts. She was also a leader and mentor at her local boys and girls club and in her church. Bronwyn hopes to study fine arts at York University, in pursuit of a career in dance therapy and education. From New World Island Academy, Herring Neck, Nfld. Hoping to re-invigorate community togetherness in an isolated fishing port, Cameron joined the Coming Home Year festival committee and organized a dory race that attracted more than 400 people. He decided to make the Herring Neck Dory Festival an annual event and gained the support of provincial politicians and the Atlantic Lottery Corporation. Cameron served as Co-president of the Student Council, hosted an annual community Christmas supper to share the holiday spirit and organized a benefit concert for the Canadian Cancer Society. He plans to study commerce at Memorial University. From Kelowna Secondary School, Kelowna, BC. Recalling how she felt like an invisible newcomer at school, Jenita is proud that she transformed herself from a ghost to a leader. She co-founded the KSS Diversity Club to provide a safe space for students from racial, religious, sexual and gender minorities. The group fundraised for a local women’s shelter and hosted a presentation for school staff on challenges faced by minority students. Jenita also led a school board campaign to provide gender-neutral bathrooms, founded a mental wellness team and was active in a district-wide human rights committee. Jenita would like to study computer science at the University of British Columbia and achieve a career in technology, media or accounting. From Hartland Community School, Hartland, NB. Inspired by the national We Day events in support of Free The Children, Aspen rallied other students to form a We Act social action group. After fundraising to support a shelter for women fleeing domestic violence, they also organized coin drives for international development projects, purchasing 28 goats for rural families, plus Halloween food drives and participation in the local Relay for Life. Proud of the legacy that this club has provided for future students, Aspen was also active on her school and provincial students councils. Aspen plans to attend McGill University and work towards a career in human rights or international labour law. From Glenforest Secondary School, Mississauga, ON. Seeing the growth of careers in Science, Technology, Engineering and Mathematics (STEM), but also the limited opportunities for students, and particularly girls, to explore STEM fields, Twinkle decided to do something about it. She served as President of her school STEM team, to interest youth in the profession, and organized an annual STEM conference that attracted 1,200 student delegates. Twinkle also started the Nahani Robotics and Engineering Club, through which high school students teach elementary students programming and robot design. Twinkle plans to study engineering at the University of Waterloo. From Richmond High School, Richmond Hill, ON. After observing how cultural norms, in Canada and around the world, can leave women powerless, Jathusha founded Ontario’s first chapter of GirlTalk, a peer-to-peer girls mentoring program. By pairing high school and pre-teen girls to talk about issues ranging from body shaming to abusive relationships, they help females build self-esteem, leadership and community service skills. Jathusha was also a national Because I am a Girl spokesperson and formed a non-profit group to empower youth to fundraise for diverse causes. She hopes to study human rights and equity studies at York University, towards a career as a human rights lawyer, politician or public policy advisor. From Grande Prairie Composite High School, Grande Prairie, AB. When Lauren learned about a shortage at the local college foodbank, and the impact of hunger on students’ education, she recruited friends to forgo trick or treating to collect food donations. She decided to make her ‘We Scare Hunger’ food drive an annual school event, and later expanded the program to other schools. Lauren was also Treasurer of her Student Council and an executive member of the Kiva Group, to provide micro-loans in developing countries. She was also involved in the Aboriginal Youth Leadership Council. From University of Toronto Schools, Toronto, ON. Impressed by Amnesty International’s focus on developing grassroots leaders, HyunGu started a youth chapter in her school. She also volunteered to re-energize Amnesty’s city-wide youth network, by organizing a Youth Leadership Council, human rights conference and magazine. After successfully mobilizing youth campaigns for prisoners of conscience around the world, HyunGu planned to expand her program model nationally and internationally. She also helped Volunteer Toronto audit youth programs at non-profit groups. From Dawson College, Granby, QC. In secondary school, Dardan founded an Earth Day Committee and helped organize a Celebrating Earth event for local youth. 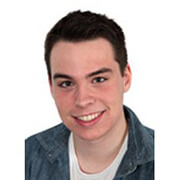 At Dawson College, he honed his political skills by arranging a Francophone delegation to take part in a parliamentary simulation at the National Assembly, and he is a member of the youth parliaments of Canada and Quebec. Elected as Director of Internal Affairs at his college, he handled administrative matters, resolved student academic problems and planned awareness campaigns. From Harvest City Christian Academy, Regina, SK. After noticing how students from low-income homes played volleyball without proper footwear, Isabel created “Shoe Drive to the Net,” collecting donated shoes for inner city schools. In addition to serving as President of the Student Leadership Council, she started her school’s first Cultural Diversity Day, to help students develop pride in their cultures, including her own Metis heritage. Outside of school, Isabel began a teen mentorship program, called Been There 2 and Made it Through. From Frank Hurt Secondary School, Surrey, BC. 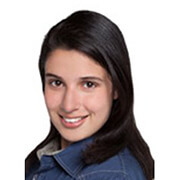 Influenced by the culture of helping others she observed as a child in Lebanon, Joanna founded her school’s Community Connections Committee to link a local retirement home, elementary schools and community groups through cross-generational activities. Based on the group’s success, she participated in a documentary to share the concept with other youth organizers. In addition to starting a weekly neighbourhood clean-up and co-founding a community garden, Joanna was the head editor and designer of her school yearbook. From Digby Regional High School, Digby, NS. Following the suicide of a local student, Rachel founded the Digby High School Mental Health Support Group to help others overcome the stigma of mental health issues. After much research and planning, she recruited a retired mental health and addictions counsellor to facilitate the bi-weekly group. She was also active as a student representative on the community health board, served as Student Council Prime Minister, and was a soccer player and coach. Rachel also presented a motivational TEDx Talk. From Pearson United World College, Stayner, ON. While Noa felt privileged to have lived and volunteered overseas at a young age, on return to Canada she perceived that her fellow students lacked awareness of global issues. She started a school environmental club to engage youth in these topics and empower them to take action. At Pearson College, she continued to support sustainability causes by co-founding Eco-Justice. The group advocates for divestment based on environmental grounds and initiates outings to connect youth from various backgrounds to the outdoors. From Champlain College Saint-Lambert, Brossard, QC. After attending the YMCA youth summit in 2014, Annie joined the year-round organizing committee to help plan the annual conference that promotes community involvement for youth from challenged socio-economic backgrounds. At school, she was a student union representative for the Champlain Student Association and she founded an online newspaper for students to share opinions on current events. Annie also participated in political simulations and leadership conferences. From Cégep de l’Outaouais, Gatineau, QC. At the age of 14, Anudari held a successful fundraiser to build a playroom at a hospital in Mongolia, her birthplace, to raise the spirits of hospitalized children. She also planned a one-day event for 100 female students to improve their self-esteem and body image. She followed up by creating AXION, a group of 15 CEGEP students who hold workshops for secondary school students, who in turn promote self-confidence and healthy lifestyles among their peers. From Citadel High School, Halifax, NS. Believing that you must build beautiful environments to build beautiful minds, Mamadou helped establish a youth-run community garden in Halifax’s North End inner city. They grow herbs and sell salad dressing at a local farmers’ market in support of at-risk youth programs and a scholarship fund offered by the Hope Blooms organization. Mamadou and his brother produce raw juices, with proceeds going to toy and food drives. They appeared on CBC’s Dragon’s Den to seek funds for a greenhouse to expand their growing season. From Halifax West High School, Halifax, NS. Concerned by her school’s disregard for its environmental footprint, including its litter-covered grounds, Qendresa started the Halifax West Environmental Club and partnered with a local trails association to hold tree plantings and nature walks. Qendresa organized leadership conferences on the regional cabinet of the Nova Scotia Secondary School Students Association, and was Secretary of the provincial inclusion committee, to involve students with disabilities. From Britannia Community School, Vancouver, BC. Lauren’s community involvement was based on the idea of role models helping youth, and was inspired by the teachers, coaches and others who guided her. She founded the “Girls Got Game” program to connect inner city girls in grades six and seven with sports, activities and mentors. She served as Secretary-Treasurer of the Leo Club, which enables students to counsel other youth, and she was part of the school Link Crew to welcome freshmen students. Lauren played basketball, competed in track and served on a community centre youth committee. From Robert Alexander McMath Secondary School, Richmond, BC. Reflecting her passion for connecting youth, the outdoors and art, Angelica founded Arts in the Park, a popular outdoors arts festival showcasing local youth. Committed to helping young people find their place in the community, Angelica coordinated writing programs for youth and an art exhibition. As a radio show host, journalist and spoken word artist, she was a voice at The Vancouver School Board Sustainability Conference, CHIMO Violence Against Women Conference and National Culture Days. From Leamington District Secondary School, Leamington, ON. After a harmful algae bloom on Lake Erie caused beach closures and unsafe drinking water, Carlos led his school’s EcoTeam in a community campaign to raise awareness and work with scientists, politicians and citizens to find solutions. Carlos lobbied Town Council to protect residents’ environmental health and he spoke at conferences and rallies to urge others to become environmental advocates. Carlos also drew upon his background as an immigrant from Honduras to develop an ambassador program to assist new Canadian students. From Holy Heart of Mary High School, St John’s, NL. While volunteering to raise awareness of mental health issues, Olivia noted the harmful impact of social pressures on women. Feeling strongly that feminism, art and the support of other females can build women’s resiliency, Olivia started GLOW (Generating Leadership Opportunities for Women). Through monthly meetings and an online private forum, girls can meet women leaders, find mentors and connect with local organizations. Olivia was also active in performing arts. From Colonel By Secondary School, Ottawa, ON. After volunteering for her school’s annual Black History Month showcase, Kika became co-president of the organizing club to raise awareness of the struggles and successes of Black Canadians. She expanded the group’s mandate to help students appreciate diversity and encouraged younger students to get involved. As Youth Editor of Black Ottawa Scene, Kika created a Youth in Action page in the online newsletter so Black youth can share their experiences. From Orchard Park Secondary School, Stoney Creek, ON. To redirect youth from negative influences such as gang activity, gun violence and drugs, Muneeb created and co-led a Youth Focus Group. With the belief that small steps can change a community, his group organized a basketball tournament and food drive and hosted a leadership workshop series to help young people discover their strengths and seek post-secondary education. He has helped to develop a community garden to feed those in need and he also led school athletics teams, leadership and academics clubs. From Kirkland Lake District Composite School, Kirkland Lake, ON. Upon realizing that a preventable disease like malaria was causing a humanitarian crisis in Africa, Jacob co-chaired a fundraising campaign to prevent the disease’s spread in Zimbabwe. Rallying support in his small high school, his committee raised enough funds to purchase 2,400 insecticide-treated bed nets to protect families from malaria-infected mosquitoes. In addition to serving as Student’s Council President, Jacob spoke out on issues facing the province’s educational system. From Brookfield High School, Ottawa, ON. As a first-generation Sudanese-Canadian, Zeinab struggled to maintain her African heritage while embracing Canadian culture. She founded a Youth Initiative to involve Sudanese young people and their parents in networking, sports and volunteering. She was also chair of the Youth Committee for the Sudanese Canadian Association of Ottawa. Zeinab was co-president of the Student Council and co-chair of her school board’s Council of Student Council Presidents. From Fredericton High School, Fredericton, NB. Observing how feminist issues sparked strong opinions but few solutions, Sorcha founded Fredericton Youth Feminists, to turn ideas into change. The group offers a space for feminist growth among high school and college age students and it fundraises for the Fredericton Sexual Assault and Crisis Centre. Sorcha has been a Voice of Women Canada delegate to the United Nations Commission on the Status of Women. She led youth voter campaigns to urge her province to re-open a reproductive health clinic for access to abortion services. From Collège André-Grasset, Montréal, QC. As a writer and editor-in-chief of a student blog/newspaper, Fei Ya combined literature and art to engage students in humanitarian causes. Fei Ya has played the flute for socially isolated hospital patients and senior citizens. She also led a program to help integrate immigrant children, through games, writing, history and culture. In her free time, she was president of her CEGEP co-op program, was a medical first responder with Ambulance Saint Jean, and was involved in a neuropsychology research project at the Université de Montréal. From University of Toronto Schools, Markham, ON. After the 2012 garment factory collapse in Bangladesh, Clement wondered why his classmates still bought brands made in sweatshops. He co-founded ActOut, a social justice group that immerses students in experiential learning. With volunteers to research global issues, ActOut held simulations, transforming classrooms into a sweatshop employing Indian migrants, or a Russian newsroom where journalists cover LGBTQ rights. The group shared its innovative learning model with school boards to help students become critical-thinking global citizens. From Belmont Secondary School, Victoria, BC. Born with a neuromuscular disorder that restricted him to a wheelchair, Jaxson was grateful to organizations that supported him and his family. He founded the Give It Back campaign. Working with students and teachers, this group first raised funds for the Canuck Place Children’s Hospice and it continues to support health-related charities, even though Jaxson now attends another school. Jaxson was also involved in community and school athletics as a coach and manager for volleyball and basketball teams and youth soccer camps. From Henry Wise Wood High School, Calgary, AB. Inspired by the Hawaiian concept of ‘Ohana’ – an extended family that includes the whole community – Mahtab co-founded the Empowerment Club to tackle bullying at her high school. The club created the Ohana Café in a local church basement to offer support groups, self-esteem classes and healthy, affordable food to participants. Mahtab also worked with friends to start the Saddletowne Community Recycling Drive, so residents could exchange or drop off recyclable items. The recycling event is now a monthly activity. From Sir Wilfrid Laurier Collegiate Institute, Toronto, ON. Having witnessed how youth are bombarded with stereotypes that can limit them socially and academically, Vanessa started the Colour Me Truth group to help students confront stereotype-based harassment and racism. The group evolved into her schools’ first-ever student-led equity group and it holds events to raise gender, race and cultural awareness. 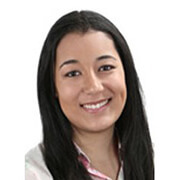 Vanessa was also a youth facilitator of the Red Cross anti-bullying program and a youth leader with the Teens Ending Abusive Relationships program at Victims Services Toronto. From Ecole Secondaire du Sacre Coeur, Sudbury, ON. 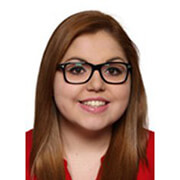 Having volunteered as a YMCA squash instructor and a Terry Fox Committee fundraiser, Mélanie-Rose became a respected youth leader in the Aboriginal Metis and Francophone communities. As the sole voice of students on an Aboriginal Advisory Education Committee, she played an integral role with her school board to introduce an Aboriginal studies course. She also served as a Youth Ambassador of Canada in a U.S. Embassy exchange program, and designed an inter-active program to show youth the benefits of exercise and nutrition. From Cegep de l’Abitibi-Temiscamingue -Campus Amos, Val-d’Or, QC. Jonathan was thankful that his family taught him strong values and he went on to help other youth develop community spirit and determination. After volunteering as a youth soccer coach for seven years, he founded the Vallée d’Or Soccer Academy, to provide low-cost soccer clinics to more than 100 youth. Jonathan also competed in marathons to fundraise for Jeunesse à Coeur (Youth at Heart), an organization that imparts local youth with willpower and confidence to pursue their dreams. From R.D. Parker Collegiate, Thompson, MB. Since grade three, when Morgan saw a video of a poor third world child, she wanted to help others, around the world and around the corner. 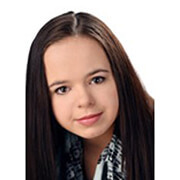 Morgan later became a youth fundraiser for Juvenile Diabetes and joined her high school’s social justice group. As co-president of H3: Hands, Hearts and Hope, Morgan has raised funds to build African schools and send care packages overseas. Her group also targeted homelessness and mental health in their own community, collecting food and warm clothing for local families. From Kwantlen Park Secondary School, Surrey, BC. To help isolated teens at her school form friendships and new interests, Olivia founded the REACH club. For kids who would normally eat lunch alone, the club enables them to eat together and plan meals and fundraisers that help them connect with others. Olivia approached city officials to provide her club with meeting space and she secured free sports passes so members can enjoy active social events and take part in leadership training. Olivia also volunteered with her church’s Sunday school. From Father Michael McGivney Catholic Academy, Markham, ON. Anojen believed that the best way to build confidence and empower youth is by helping them take an idea to reality. He launched StudentsCoding.com, a group that teaches youth with ideas to create an app in less than a day. Anojen attracted sponsors from Facebook and online coding schools, so he could hold a one-day class for 100 students. Anojen observed that, “If youth can build an app in a day, imagine what they can do in a week or a year!” Anojen was also president of his school’s environmental team. From Eric Hamber Secondary School, Vancouver, BC. Duva founded Kids for Kids to ensure that children who lack financial means or family support can play sports. The group held a show for war-affected Sri Lankan children, raising funds to buy sports equipment and establish scholarships for students who excel in sports and academics. The fundraiser targets different groups of local or international children each year. Duva was also co-president of the Vancouver District Student Council, sat on an anti-bullying task force and was a soccer coach for Special Olympics. From Martingrove Collegiate Institute, Etobicoke, ON. Grateful for the support her family received through the United Way Toronto when they immigrated to Canada, Gina became an ambassador for Youth United, a youth council that inspires young people to improve their city. After serving as the group’s social media chair, Gina started a United Way club at her high school. The club has organized original fundraisers to show students how their involvement in social issues can have a lasting impact on others. Gina was also the head of the school newspaper. From Vincent Massey Collegiate, Winnipeg, MB. After becoming president of his school’s Key Club, Michael transformed the group into a place where young leaders are born. The group now empowers members to suggest and support causes that matter to them, ranging from children’s winter clothing drives to neonatal tetanus fundraisers. Michael also restarted his school’s sustainable development committee project to help install clean energy solar panels. A budding trumpet player, he and a friend started a jazz ensemble for youth that performs in the community. From New Westminster Secondary School, New Westminster, BC. Understanding how it’s easy for young people to feel lost in the crowd, Annaliese created a free festival to connect youth through environmental causes. After considerable planning and enlisting support from city officials, environmental groups, bands and speakers, the most recent ecoFEST attracted local politicians and more than 500 attendees. Annaliese later expanded ecoFEST to connect environmentalism with popular student interests. She was also an active visual artist. From Eastern Commerce Collegiate Institute, Toronto, ON. Growing up in a violence-riddled neighbourhood, Gula often found hope in the local community centre and Pathways to Education program, which offered a homework club, basketball and summer camps. To help other youth access a place to grow and focus on their futures, Gula founded The Lawrence Heights Violence Prevention Youth Association. The group hosts youth activities ranging from barbeques and gardening to subsidized outings to sports events. Gula also represented the youth and immigrant populations in the city planning process. From St Clement’s School, Toronto, ON. Committed to fighting for the rights of girls, Maclite was surprised that her all-girls school had no group focused on gender inequality. She founded a school chapter of the Plan Canada, Because I am a Girl club, to empower every student to stand up for themselves and for girls around the world. Maclite also volunteered at Holland Bloorview Kids Rehabilitation Hospital, tutored younger students and organized a March break camp for underprivileged children. From Prince Andrew High School, Dartmouth, NS. Shocked to discover that human trafficking of teenage girls occurred in her own province – and surprised that no local organizations targeted the crime – Hailey convinced school officials to let her organize a conference on the issue. After hosting the one-day event, which drew 1,000 participants and media attention, Hailey formed a human trafficking awareness group at school. She also collaborated with other school groups and organizations to support awareness and prevention of human trafficking. From Clarenville High School, Clarenville, NL. Seeing that youth struggled with their sexual identity in his small, tight-knit town, Lucas formed SPEAK, Students Promoting Equality and Kinship, to serve as a gay-straight alliance and promote anti-bullying. The club resonated with students, staff, parents and community members who recognize that it created a positive, inclusive atmosphere in the school and town. Lucas was also a founding member of his school’s environment club, vice president of his Student Council and he volunteered with a breakfast program. From St Mildred’s-Lightbourn School, Oakville, ON. Amanda spent her high school years changing stereotypes. She began her school’s first mental health club, founding a Jack.org chapter, to reduce stigma around mental illness. She hosted events to engage students and create a safe space for struggling youth. As a member of an all-girls robotics team, Amanda challenged attitudes in the male-dominated STEMR sector, encouraging girls to pursue interests in science, technology, engineering, math and robotics. By leading her school STEMR council as the STEMR Prefect, Amanda mentored girls and advocated to reduce the gender gap in the scientific community. Amanda would like to become an engineer, lawyer or entrepreneur. From Annapolis West Education Centre, Granville Ferry, NS. Inspired by the volunteer spirit of her parents and the Annapolis Royal community, Abigail co-founded a social issues club at school and embarked on fundraisers such as annual ‘Get the Goat’ campaigns, to purchase goats through Plan Canada, and a ‘Fast for Food’ event, in which youth fasted for 30 hours to support a food bank. Each successful event prompted Abigail to take on new causes and her club grew from two to 50 members. She was also active in Student Council, school band and drama, was a church youth leader, and was a member of the Annapolis Royal Space Agency and Royal Robotics team. Abigail would like to study environmental engineering. From St. Theresa of Lisieux Catholic High School, Richmond Hill, ON. Having watched his immigrant parents work night and day, Hayden founded Youth Nation Alliance to provide youth-to-youth support services to new immigrant students. His team provided peer mentoring to more than 1,000 youth, including volunteer matching, translations and social outings. Also committed to Canada’s history, Hayden joined the Commonwealth Youth Peace Ambassadors Network to support the Nipissing First Nations community. He and his friends created the CONNECT App to join isolated Indigenous youth through a virtual drop-in program to find physical activities and recreation sports wherever they live. 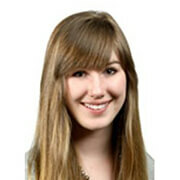 Hayden may pursue a career in human rights or immigration law, social work or international relations. From Burnaby Mountain Secondary School, Burnaby, BC. Refusing to ignore the homeless members of his community, Ivan founded The Hot Potato Initiative, a youth-led movement to overcome the indifference of everyday citizens. Looking beyond superficial ‘band-aid solutions’, he led a team of 50 students in creating a media campaign around the biographical stories of real people living on the streets, to inspire empathy and destigmatize homelessness. His project engaged over 50,000 Canadians through social media. Ivan also participated in Burnaby's Seniors & Technology program, teaching senior citizens to use electronic devices. He hopes to study business or international development. From St Pius X High School, Ottawa, ON. After Bronwyn watched a loved-one struggle with their identity, she formed her school’s first gay straight alliance. To make the group inclusive of anyone who felt they did not belong, regardless of sexual orientation, she named the club HUGS (Humans Understanding Gender and Sexuality). They held school-wide events including presentations on bullying, lobbied for a gender-neutral bathroom and fundraised for a local community centre for LGBTQ+ youth. Bronwyn also headed her school’s Peer Helpers program for new students, took part in Ontario Youth Parliament and volunteered at church camps. Bronwyn would like to be a developmental psychologist, teacher or youth counsellor. From Leo Hayes High School, Penniac, NB. From a young age, Justen loved science, electronics and engineering but struggled to find ways to explore these interests. Inspired by his school Science Club, he convinced the Fredericton Makerspace social enterprise to pilot an after-school science program, which expanded to offer city-wide competitions and a regular 'STEM @ The Ville’ for youth. Justen also helped create a solar passive greenhouse and indoor urban agricultural room at The Ville Co-operative, to test innovative growing techniques. His other volunteer work included community climbing wall instructor and in-school math and physics tutor. Justen wants to be an embedded systems designer or electronics hardware engineer, potentially in his own company. From Marianopolis College, Westmount, PQ . While volunteering at the Tyndale-St. Georges Community Centre, Charlotte saw how some youth were not interested in sports-focused programing. She co-founded an after-school art activity for children age six through 12, after fundraising from local businesses to acquire supplies. Enlisting volunteers to help children from underprivileged backgrounds unlock their artistic selves – including artwork for cancer patients – the group became a continuous program at the centre. Charlotte also helped lead an inclusive running club and an intersectional feminist club at her school. She is interested in a career as a documentary film-maker or creative director for a non-governmental organization. From Cawthra Park Secondary School, Mississauga, ON. Jenna co-created her school’s first Black Students Association after she organized a meeting to learn about her classmates’ experiences and struggles with prejudice. The club helped students discuss their challenges, raise issues with school administration and celebrate black culture, through events like black history presentations by guest speakers. By recruiting younger student members, the group will continue once Jenna graduates. She was also involved in student council, tutored peers in math and science and danced in her school urban dance club and at the Collective of Black Artists. Jenna plans to study biomedical or electrical engineering. From R.S. McLaughlin Secondary School, Oshawa, ON. When his family emigrated to Canada from Pakistan, Daniyal felt ostracized by others since he was the only Muslim child in a school with no South Asian presence. To offer respect, kindness and friendship to other youth, in grade 10 Daniyal founded a Multicultural Committee. The group grew into his school’s largest club by welcoming students of all ethnicities and raising cultural awareness through fundraisers, multicultural food buffets and activities like the Abolish Hatred Poster Competition. He also served on his school Athletic Council and Reach for the Top team and played sports like ultimate frisbee. Daniyal hopes to study health sciences or biochemistry on the road to a career in medicine. From R.E. Mountain Secondary School, Langley, BC. Environmentally-minded Jasmine saw how aquaponics – cultivating aquatic animals and plants in a symbiotic environment – could reduce global famine. After testing a backyard aquaponics system, she convinced school officials to let her build a unit in the commons, to teach students sustainable farming and donate the weekly harvest to a soup kitchen. As President of the school Sustainability Corps, she inspired other young environmentalists to create a school greenhouse and expand aquaponics to other schools. Jasmine served on her Member of Parliament’s Youth Council and volunteered at a camp for bereaved children. She would like to study engineering and architecture. From Nepean High School, Ottawa, ON. Having experienced significant pollution when he lived in Asia, Matthew committed to creating a cleaner, healthier planet. After returning to Canada, he established a high school environment club to raise awareness and introduce solutions, such as composting school food waste. He travelled to the Arctic with Students on Ice to learn about climate change from Inuit elders and shared his knowledge on the Ontario Nature Youth Council, lobbying government on climate change issues. While planning environmental awareness events for the David Suzuki Foundation’s Blue Dot program, Matthew was active in many sports including hockey, karate and track. Matthew plans to study environmental engineering. From Garth Webb Secondary School, Oakville, ON. With his love of sports, Jack realized how many Indigenous children could not enjoy these healthy, positive activities since they could not access sports equipment. He collected used sports gear at his elementary school and shipped it to remote Indigenous communities. He later founded Change By Youth and donated 2,500 skates and hockey equipment to kids in need while providing volunteer opportunities to 300 youth. He has also led 22 Great Canadian Shoreline Cleanups to educate the public about protecting waterways. Jack was active in his school science fair club, trained in Taekwondo and helped lead the Oakville Leo Club. He is interested in a career as a researcher or scientific product or biotechnology developer. From Cariboo Hill Secondary School, Burnaby, BC. Rickesh experienced firsthand how lack of economic means can exclude youth from community activities, so he pledged to improve social inclusion for low-income children. 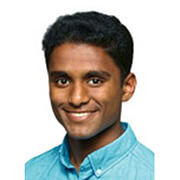 Inspired to study STEM subjects by an elementary school teacher, Rickesh established Mind Blown, an after-school science program in which high school volunteers offer weekly science lessons in two elementary schools. He volunteered with the homeless, on the Burnaby Task Force on Homelessness and the Indo-Africa Charitable Society, and co-founded Children’s Birthday Miracles, to throw monthly celebrations for children from homeless families. 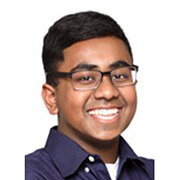 Rickesh is considering a career as a math and science teacher or a computer engineer. From Collège Jean-de-Brébeuf, Montreal, PQ. To help underprivileged youth experience culture and broaden their perspectives, Anne founded De-l’Air-Frais pour-un-Sourire-Vrai (Fresh Air for a Real Smile). With 15 volunteers, the group ran children’s excursions such as snowshoeing and art gallery visits. She encouraged other youth leaders in diverse projects and sports, from flag-football teams to Giive, a student-run organization focused on reconciliation between Indigenous and non-Indigenous communities. Anne represented youth at both Montreal City Council and on the Canadian Commission of UNESCO Youth Building Peace series. She also wrote for several youth publications to counter prejudice. Anne seeks a career in community engagement through social justice or medicine. From Britannia Secondary School, Vancouver, BC. Knowing that families struggle to afford food and after-school care in his neighbourhood, Luk took action to help, and be a positive influence on disadvantaged youth. He co-founded Cook it Up, so grade 4 to 7 students could learn cooking skills from a professional chef. Luk was also a Link Crew leader, helping grade 8 students transition to high school through mentoring and social events. As Officials’ Club President, he encouraged students to volunteer as sports scorekeepers, to participate in positive pastimes, gain employable skills and enable scheduled sports to continue in his community. 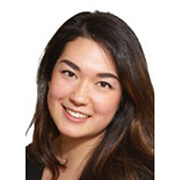 Luk’s career interests include accounting, marketing and graphic design. From Bloor Collegiate Institute, North York, ON. With a strong sense of empathy for the homeless, Stephanie began raising funds to prepare Christmas gifts for local homeless persons. She started the Off the Streets group at her high school to involve fellow students in fundraising and awareness events and volunteering trips to shelters. By doing so, she has empowered many peers to develop their own leadership skills and community mindedness. Stephanie co-led her school Model United Nations team and was involved in her debate team and student tutoring. She would like to study political science, towards a career in the public service, education or international development. 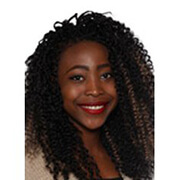 With her interest in vegetarianism, Shophika became involved in the Collège Jean-Eudes Ecology Committee, leading awareness kiosks about water and food waste. She enlisted students in clean-up activities, started recycling and composting programs and lobbied school officials to create a green roof for urban agriculture. Today, it has become a student-run garden that grows and produces teas, pesto and fresh vegetables. At her CEGEP, Shophika helped lead the environmental committee and cooperative association while she volunteered with senior citizens and hosted a weekly radio show in her native Tamil language. Shophika would like to study mathematics, possibly leading to a career as a high school teacher. From Oromocto High School, Oromocto, NB. Natasha led many projects to build stronger connections among community members. She applied her love of knitting to start a hat-knitting campaign, with volunteers producing more than 200 warm hats for the Fredericton Homeless Shelter. She volunteered at a seniors’ home, the library and an elementary school activity program, while spending her summers offering swimming lessons to special needs’ kids and tending a vegetable garden for the Oromocto Food Bank. To inspire other girls to become leaders, Natasha was active on the WOW (Women’s Only Wellness) peer program and on the MP Youth Council to encourage young women to exercise. Natasha wants to study biochemistry towards a career as a doctor, orthopedic surgeon or biomedical engineer. From Bert Fox Community High School, Wolseley, SK. After observing how many of her fellow students put their health at risk by skipping meals, Avery revived an early morning Breakfast Club at her school. While providing busy students, parents and staff with access to a free or affordable hot meal, the program teaches young people about healthy diets, helps classmates earn volunteer experience and supports local businesses and farms. She also volunteered on student leadership council, sang in the choir, was active in recreational sport programs and assisted at a daycare centre. Avery wants to study science towards a career as a pharmacist, pediatrician or veterinarian. From South Kamloops Secondary School, Kamloops, BC. At age 16, Ken founded the Kamloops Youth Volunteers to empower other young people with the courage and knowledge to benefit their community. The city-wide group grew to 80 students who supported youth-led initiatives, such as making cards for sick children at the Royal Inland Hospital or cleaning the animal facilities at the SPCA. Ken also applied his personal drive for innovation and initiative by co-founding the Kamloops Student City Council to give students a voice at City Hall, and the Norkam Badminton Club. In addition, he was also a Model UN delegate, Ted-Ed Club leader, and Rutgers University laboratory assistant. Ken hopes to study neuroscience or immunology in pursuit of a career as an infectious disease specialist with Doctors Without Borders.